Getting ready for the Christmas holidays are we? 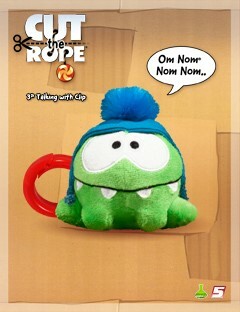 Here’s another perfect Christmas present to have in mind for the Cut the Rope fans in your life – a plush toy of the main game character – Om Nom. 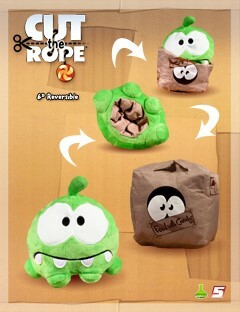 Round5 announced that it will be selling the adorable plush toys in different sizes varying from 4″ to 16″. 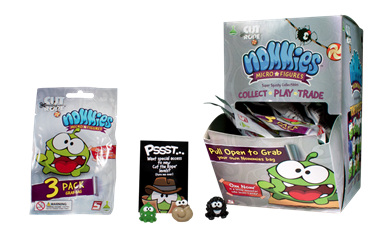 On top of that, if you purchase some of the Nommies micro figures, you will get access to exclusive bonus levels of the game, which aren’t available otherwise. Round 5 has made different variations of the Om Nom toy, each one cooler than the next and here are some of my favorites. 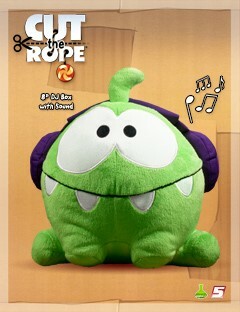 The 8″ DJ Box Plush is particularly cool because it plays some of the Cut the Rope tunes when squeezed. 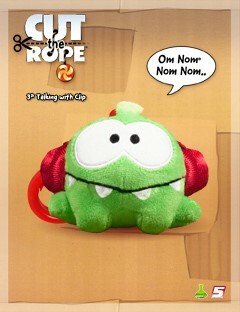 It retails for $14.99, while the 3″ Talking Plush with Clip will cost you $7.99. 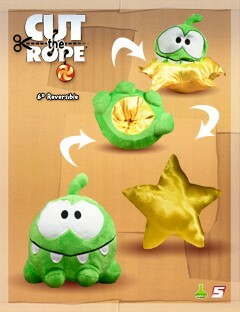 Here are other Om Nom toy variations. Dig them? I though so. 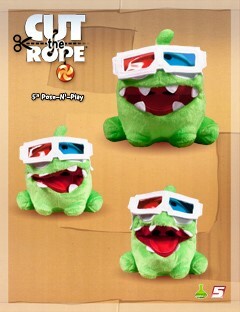 The toys are available online from the source link below as well as Walmart stores in the US and Toys R US in Canada.